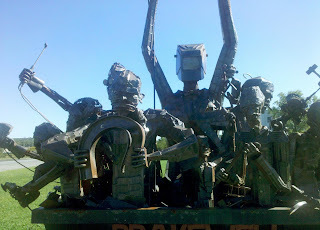 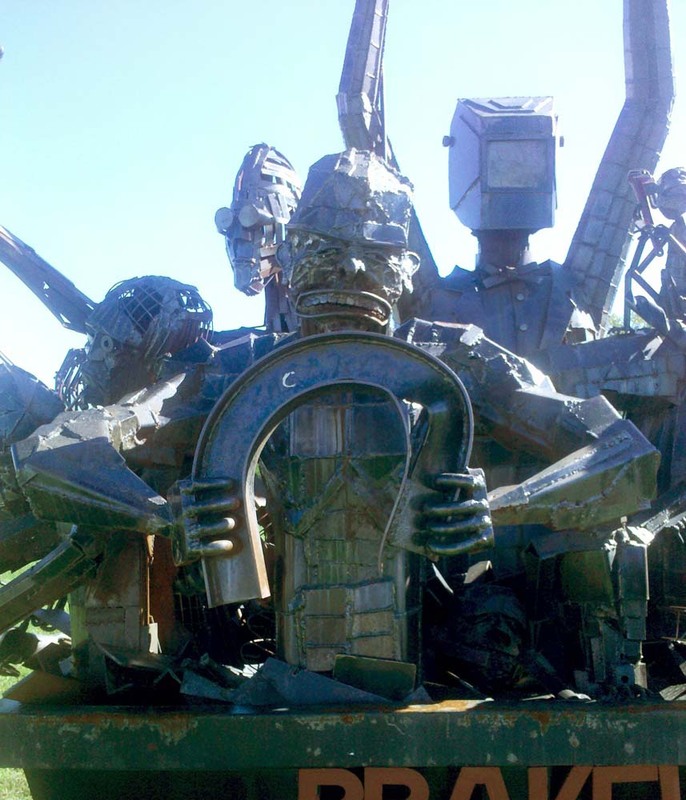 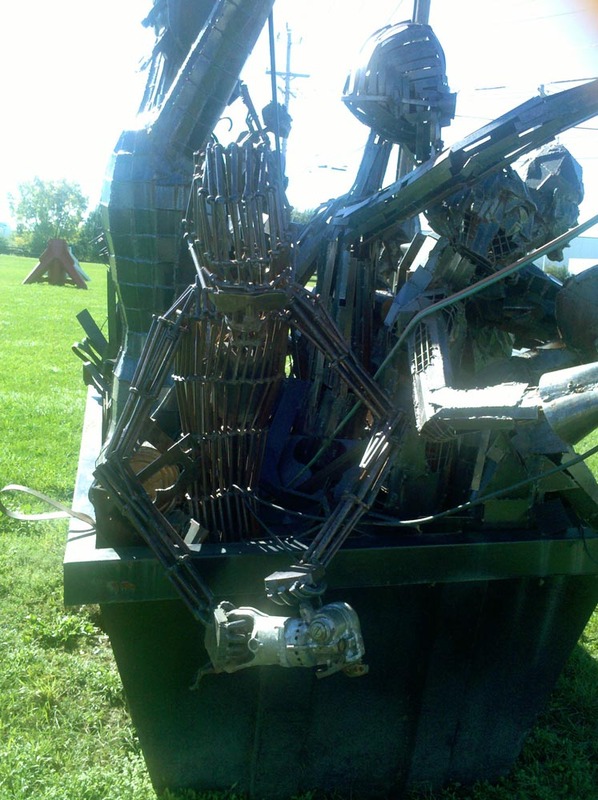 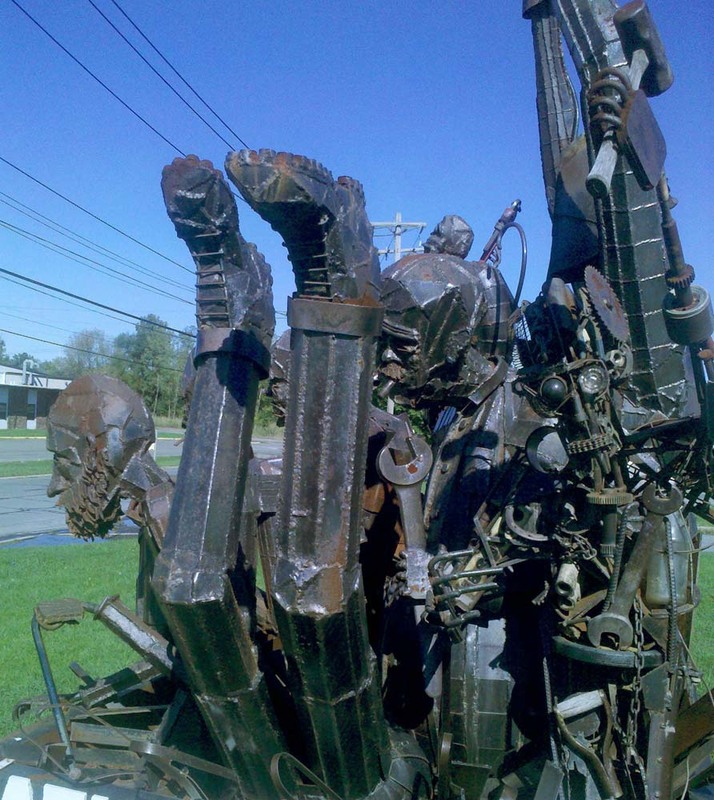 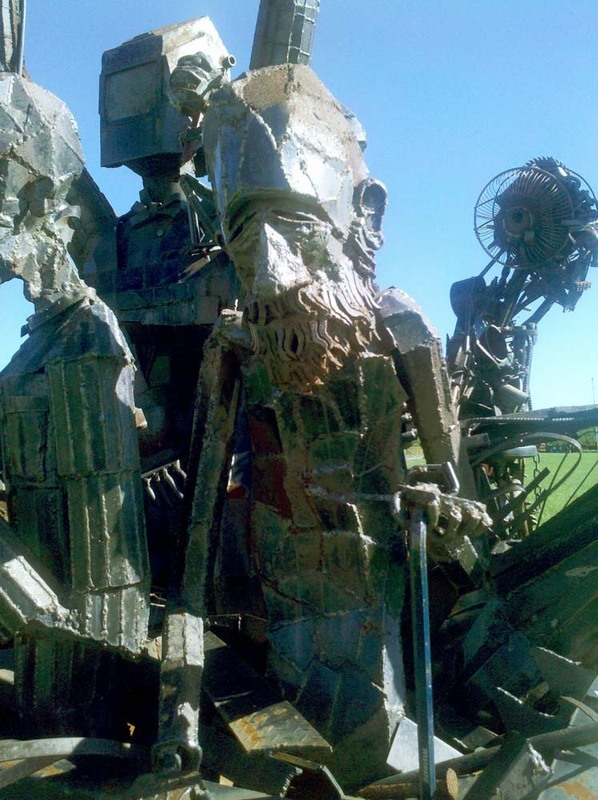 Not far from where I live is this collection of statues created from scrap metal that I pass at least once a week. 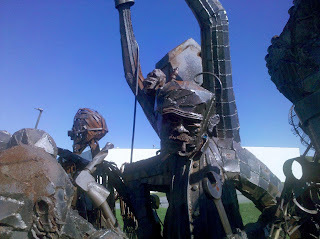 I've been waiting for a nice day to come along to finally take some photos and with Steampunk Month going strong I thought it was high time I got to it. Although this might be better classified as Salvagepunk. Enjoy! These rock!!! 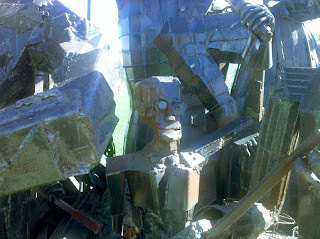 Keep up the steam pace you Mad guy!